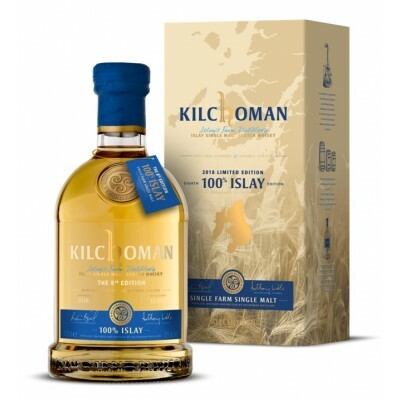 The Kilchoman 100% Islay 8th Edition is the eighth release in this series of lightly peated (20 PPM) Kilchomans botteld at 50% ABV. It is 100% Islay made which explains the name. This 8th release is a vatting of 23 bourbon barrels and 7 Oloroso sherry butts filled between 2008 and 2012. They’ve been married and bottled in 2018 at 50% ABV, non chill filtered and with no added colour, as a limited release of 12.000 bottles. Compared to the earlier releases this one is a little sweeter due to the addition of the sherry casks. Official tasting notes will follow as soon as possible.